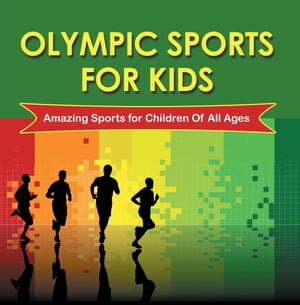 Collins Booksellers - Olympic Sports For Kids : Amazing Sports for Children Of All Ages by Baby Professor, 9781682808900. Buy this book online. Convince your child to take up a sport instead of playing the computer all day long. Do that through the help of this beautifully crafted educational book. This book features amazing sports for children of all ages. The images used as more than enough to provide a cool introduction into each one. The limited text provide the additional information required. Buy a copy today!